Blogger Opp ~ BenQ ScreenBar Lamp Giveaway! 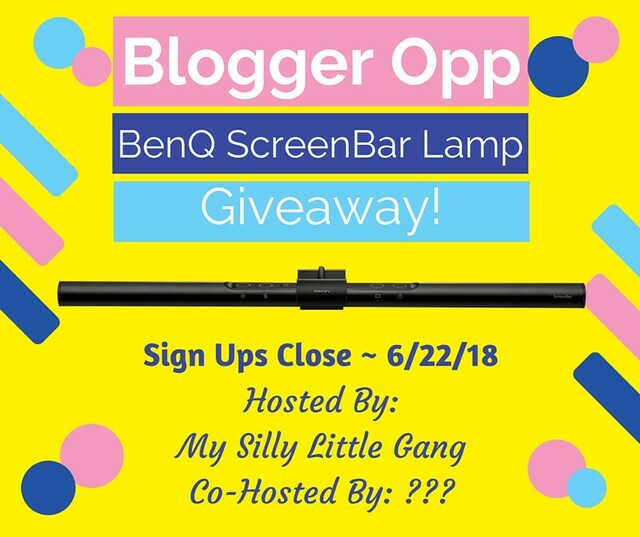 My Silly Little Gang is hosting a giveaway for 1 lucky winner to receive a BenQ ScreenBar Lamp! Your readers are going to love this one!!! Please Sign Up now to help her promote this fabulous giveaway!